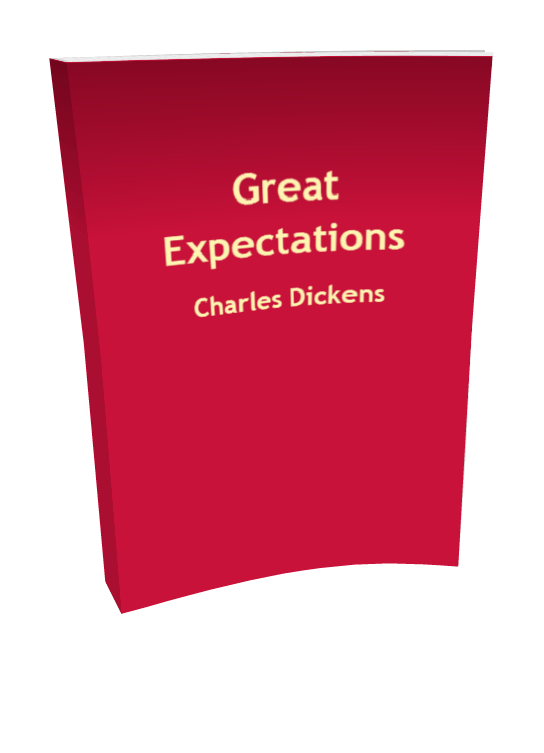 Great Expectations is a classic novel by Charles Dickens. Start reading here then download the free eBook (free pdf). My father’s family name being Pirrip, and my Christian name Philip, my infant tongue could make of both names nothing longer or more explicit than Pip. So, I called myself Pip, and came to be called Pip. I give Pirrip as my father’s family name, on the authority of his tombstone and my sister,–Mrs. Joe Gargery, who married the blacksmith. As I never saw my father or my mother, and never saw any likeness of either of them (for their days were long before the days of photographs), my first fancies regarding what they were like were unreasonably derived from their tombstones. The shape of the letters on my father’s, gave me an odd idea that he was a square, stout, dark man, with curly black hair. From the character and turn of the inscription, “Also Georgiana Wife of the Above,” I drew a childish conclusion that my mother was freckled and sickly. To five little stone lozenges, each about a foot and a half long, which were arranged in a neat row beside their grave, and were sacred to the memory of five little brothers of mine,–who gave up trying to get a living, exceedingly early in that universal struggle,–I am indebted for a belief I religiously entertained that they had all been born on their backs with their hands in their trousers-pockets, and had never taken them out in this state of existence. The man, after looking at me for a moment, turned me upside down, and emptied my pockets. There was nothing in them but a piece of bread. When the church came to itself,–for he was so sudden and strong that he made it go head over heels before me, and I saw the steeple under my feet,–when the church came to itself, I say, I was seated on a high tombstone, trembling while he ate the bread ravenously. I earnestly expressed my hope that he wouldn’t, and held tighter to the tombstone on which he had put me; partly, to keep myself upon it; partly, to keep myself from crying. “Blacksmith, eh?” said he. And looked down at his leg. After darkly looking at his leg and me several times, he came closer to my tombstone, took me by both arms, and tilted me back as far as he could hold me; so that his eyes looked most powerfully down into mine, and mine looked most helplessly up into his. “You get me a file.” He tilted me again. “And you get me wittles.” He tilted me again. “You bring ’em both to me.” He tilted me again. “Or I’ll have your heart and liver out.” He tilted me again. I said that I would get him the file, and I would get him what broken bits of food I could, and I would come to him at the Battery, early in the morning. “Say Lord strike you dead if you don’t!” said the man. I said so, and he took me down. “Goo-good night, sir,” I faltered. At the same time, he hugged his shuddering body in both his arms,–clasping himself, as if to hold himself together,–and limped towards the low church wall. As I saw him go, picking his way among the nettles, and among the brambles that bound the green mounds, he looked in my young eyes as if he were eluding the hands of the dead people, stretching up cautiously out of their graves, to get a twist upon his ankle and pull him in. When he came to the low church wall, he got over it, like a man whose legs were numbed and stiff, and then turned round to look for me. When I saw him turning, I set my face towards home, and made the best use of my legs. But presently I looked over my shoulder, and saw him going on again towards the river, still hugging himself in both arms, and picking his way with his sore feet among the great stones dropped into the marshes here and there, for stepping-places when the rains were heavy or the tide was in. The marshes were just a long black horizontal line then, as I stopped to look after him; and the river was just another horizontal line, not nearly so broad nor yet so black; and the sky was just a row of long angry red lines and dense black lines intermixed. On the edge of the river I could faintly make out the only two black things in all the prospect that seemed to be standing upright; one of these was the beacon by which the sailors steered,–like an unhooped cask upon a pole,–an ugly thing when you were near it; the other, a gibbet, with some chains hanging to it which had once held a pirate. The man was limping on towards this latter, as if he were the pirate come to life, and come down, and going back to hook himself up again. It gave me a terrible turn when I thought so; and as I saw the cattle lifting their heads to gaze after him, I wondered whether they thought so too. I looked all round for the horrible young man, and could see no signs of him. But now I was frightened again, and ran home without stopping. 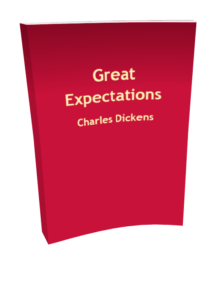 The free eBooks are free to share without modification. The cheap eBooks are subject to copyright, so sharing them is illegal.